When Michelle Fenner signed up to run this year’s Los Angeles Marathon, it got her thinking: Tijuana, Mexico, is only a 2 1/2-hour drive from LA. Why not take a trip across the border and buy some insulin for her son? “It’s so easy to just go across the border,” Fenner mused. This idea had been in the back of Fenner’s mind for a while. Her son was diagnosed with Type 1 diabetes nine years ago, meaning he needs daily injections of insulin to stay alive. The list price of the modern generation of insulin has skyrocketed since then. On one trip to the pharmacy last year, Fenner was told that a three-month supply of insulin would cost her $3,700. “The average cost of an eligible drug in the US is over $4,500 per month and is 40-60% less in Mexico,” PEHP Clinical Services Director Travis Tolley said in an announcement of the program last October. 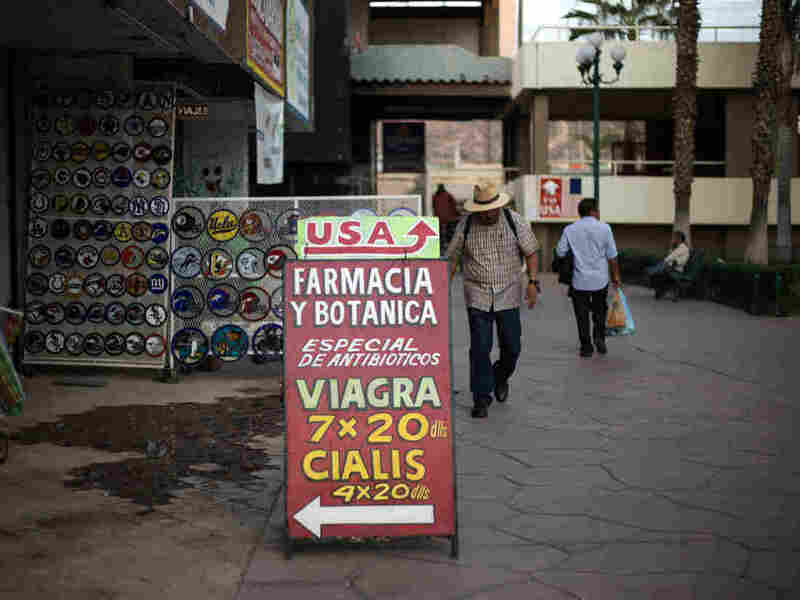 According to the U.S. Food and Drug Administration, “in most circumstances, it is illegal for individuals to import drugs into the United States for personal use.” But the agency’s website does provide guidance about when it could be allowed. And the U.S. Customs and Border Protection’s website has a whole section on traveling with medications in its “Know Before You Go” guide. “When we talked to people about this, there has never been a single person who has been prosecuted for doing it. And it happens every day at every border crossing all over the country,” Thurston says. “The general understanding is you can bring up to a 90-day supply of a prescription from overseas, even though it’s a technical violation,” says Nathan Cortez, a law professor at Southern Methodist University. “You get a little nervous. You want to make sure that you have a reputable pharmacy,” Fenner says. To get pharmacy recommendations, she has been consulting with friends and acquaintances who have purchased insulin in Mexico. She’s calling those pharmacies now to make sure they have the type of insulin she wants to buy. When the marathon gets closer, she’s planning to call ahead with her order. Fenner says the amount she’s expecting to save on insulin could warrant multiple trips to Mexico every year. 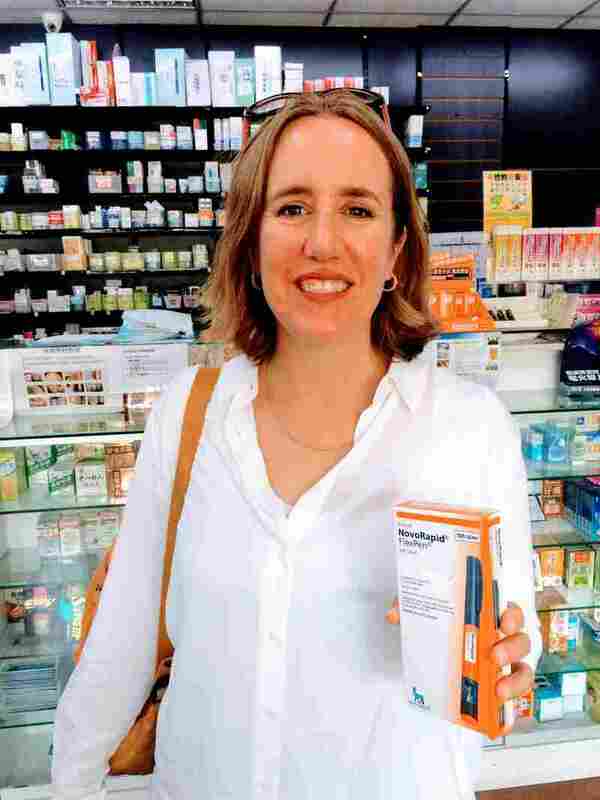 Lija Greenseid, a consultant with a nonprofit in St. Paul, Minn., paid $40 at this Taiwanese pharmacy for a box of insulin pens. It’s the same medicine that she has paid $700 for in the United States. Greenseid’s daughter, who has Type 1 diabetes, goes through about one of these boxes of insulin each month. “At that point I started tearing up. I could not believe how inexpensive it was and how easy it was,” Greenseid says.